Excuse me, old chap. But by any chance do you know where I can find a comic book related to Jack the Ripper? Oh! What's that you say? There's one right here, under my very noise? Taking the form of an independent comic book interview with two nice fellas called Frogg and Perry? My gosh! I best check it out then! Mustn't I? 1) Now for anyone who didn’t read our last interview, Frogg, can you please tell us a bit about yourself, plus how you first met up with your co-collaborator, Perry Harris? FROGG: I'm the editor of the Whitechapel Society in-house magazine, 'The Whitechapel Journal'. 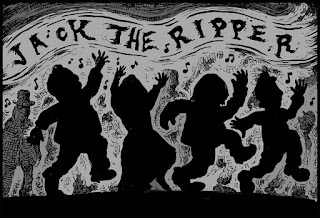 I also composed and originated the idea for the rock musical, 'Yours Truly, Jack the Ripper', so I have been interested in 'Jack' for more years than I care to remember! I have actually know Perry Harris for many years too. When I was playing in a punk band in our home town of Salisbury, Perry was drawing cartoon strips for a fanzine -- we also frequented the same pubs and went to the same gigs. As editor of the Whitechapel Journal, I wanted a Ripper related cartoon for each edition, so I called up Perry, who -- I'm glad to say -- agreed to do them for us. 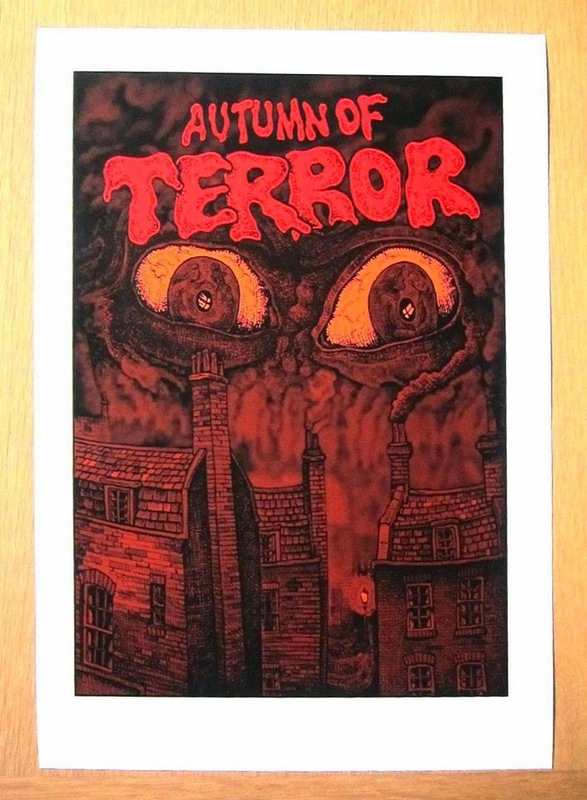 2) What inspired you to create your graphic novel, ‘Autumn Of Terror’? 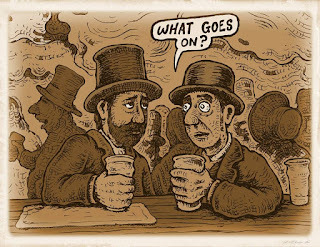 FROGG: Well, as it was rather obvious that Perry had a real good 'feel' for Ripper related drawings, and I've always been into comic books and fancied writing a story based on 'Jack'. After the success of 'Haunted Salisbury' for 'The History Press', they wanted to know if I had any other ideas in the pipeline so I pitched to them 'Autumn of Terror'. Perry and I knocked up a few preview pages and they were suitably impressed enough to take the project on. I think I'm right in saying that this is their first Graphic Novel publication, so we must have done something right! 4) What song would you say best represents this project and why? 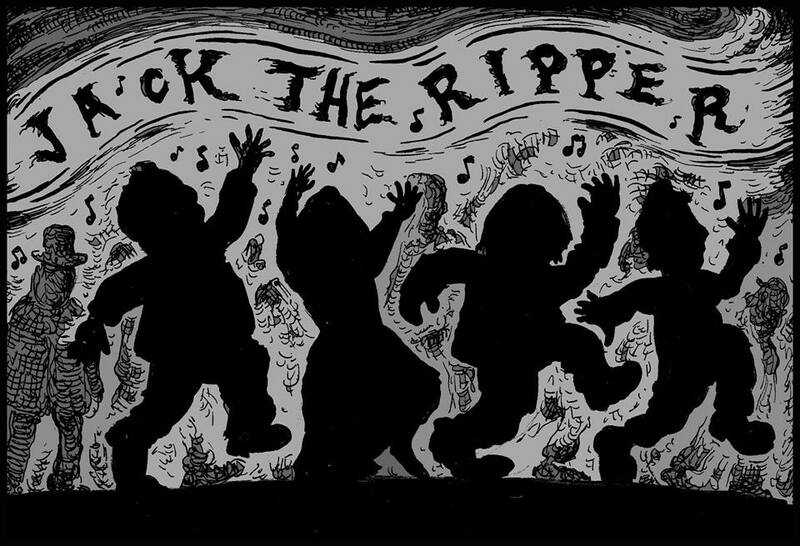 PERRY: I'd go with the Nick Cave and the Bad Seeds song, 'Jack the Ripper'. 5) If you could get a celebrity – apart from any of the Jack The Ripper suspects – to promote your wares, who would you choose, and why would you want to choose this particular person? PERRY: I can't think of any current celebrities, so maybe Abberline himself, because I feel he would be generous in his assistance. 6) What have you learnt about yourself through this endeavour? And were their any unforeseen obstacles you had to contend with along the way? PERRY: I wasn't sure if drawing the artwork & writing the story as we went along would be a good idea, but I think it did help to keep the project alive, rather than be faced with illustrating the whole 90 plus pages straight off. It did ultimately mean some re-drawing, but this was manageable without re-designing too many pages. 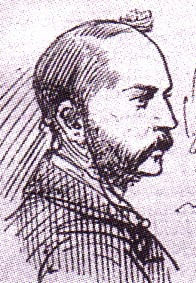 FROGG: The one thing that really struck me was once I started writing, was that I didn't actually know as much about the Ripper case as I thought I did! But I'll tell you something, although its a graphic novel, it has more truth in it that some of the 'factual' books I've read on the subject! 7) During your time in this field, what is the one thing that has kept you in good stead? PERRY: Red wine, music & humor. FROGG: Black Rat Cider and a comfortable mattress. 8) If ‘Autumn Of Terror’ had a motto, what would it be? PERRY: Alluding to how long Frogg & I have been friends, 'A Journey Through Time'. FROGG: Yep, I'll go along with that one as well! And so on that note, dear reader, all I have left to say is please check out 'Autumn of Terror' by clicking on the facebook page, twitter stream, or Timezone Publishing website. Or alternatively, why don't you pick yourself up a copy via the links provided?